Power Profile Chart. 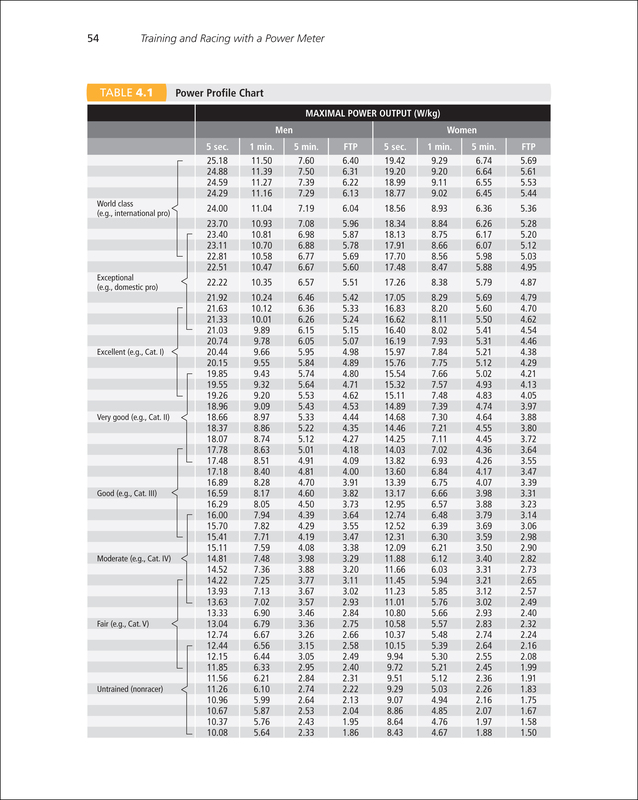 Use this chart to determine typical power outputs (watts/kg) for different categories of cyclists. Republished with permission of VeloPress from Training and Racing with a Power Meter, 2nd Ed. by Hunter Allen and Andrew Coggan, PhD. Learn more at velopress.com/power.